SHAKESPEARE REPUBLIC is an internationally award-winning web series that celebrates not just the world’s greatest playwright, but also his insightful understanding of the big issues of our time. “Shakespeare Republic: #LoveTheBard” (Season Two) starring Nadine Garner, Michala Banas, Alan Fletcher, Christopher Kirby and Dean Haglund, among others, is currently ranked in the Top 20 web series in the world and the Top 5 in Australia (Web Series World Cup), has been selected for 13 international film festivals to date and won 4 awards for the work – Best Lead Actor for Christopher Kirby at Austin WebFest, Best Cinematography at Sicily Web Fest, Best Hair & Make Up at Tuscany Web Fest & the prestigious 60th CINE Golden Eagle Award for Best Digital Series! The 2017 CINE Golden Eagle Award is our first major industry recognition. And we’re in great company – Steven Spielberg, Ron Howard, Robert Zemeckis and Pixar, among others, also count the CINE Award as their first major industry accolade. Fellow CINE Golden Eagle Award winners this year include Variety & PBS’s “Actors On Actors” and the Emmy award-winning TV series “Mr Robot” starring Christian Slater, as well as programs from NBC, Discovery, A+E Network, Sony Pictures and National Geographic, among others. To capitalize on this amazing success, we are in the process of producing a teaser for our next project, the WW2 series ‘Till The Boys Come Home, as well as create pitch materials for Season Three of Shakespeare Republic: #GodsAndMonsters to pitch to decision makers when we travel to LA to accept our CINE Award later this year. Your donation will help us pay for the WW2 uniforms, furnishings and props required to film the teaser, as well as other production costs, and produce the pitch materials for Season Three of Shakespeare Republic. The CINE win gives us access to the next level in the industry and the chance to secure international funding and distribution for all our current projects via face-to-face meetings with key decision makers based in LA – and we need to be armed with material to show them! We aim to come back from LA with stronger opportunities to move forward with Shakespeare Republic and all our current projects in development and begin implementing the next stage of the work here in Melbourne with our local production team. A graduate of The Actors Institute, London, Sally has played roles in over thirty UK and Australian theatre productions, including “Hamlet”, “Macbeth”, the Australian Premier of “I Love You, You’re Perfect, Now Change” and the World Premier of “Annabel’s Requiem” on the West End, London. Her most recent theatre appearance was as Dowsabel for two seasons with the Australian Shakespeare Company in their critically acclaimed production of “Comedy of Errors”. She has appeared in various lead and guest roles on numerous UK and Australian television series including “Utopia”, “Lowdown”, “The Worst Year Of My Life – Again!”, “Elephant Princess”, “Totally Full Frontal”, “Comedy Inc.” and the BAFTA award-winning mini-series “Bootleg”. Recent film credits include “Raymond Taylor’s Earnest Adventures In Love”, “V for Vienetta” and “Evie Wants A Baby”, amongst others. Her most recent director/producer credit is the feature documentary “A Life Unexpected: The Man Behind The Miracle Mile”, filmed in England, Ireland, Austria and Australia. 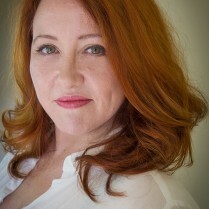 Sally continues to work in Australian theatre, film and television as an actor as well as developing several projects for both stage and screen as a writer/director/producer. ‘TILL THE BOYS COME HOME TEASER HAS LAUNCHED! THANK YOU TO OUR DONORS FOR MAKING THIS POSSIBLE! THANK YOU TO ALL OUR AMAZING DONORS! 146% FUNDED!! We have just had confirmation that we can get authentic uniforms for the teaser, but it will cost another $1000 beyond what we have already raised. Please keep giving to help us achieve this new goal! AMAZING! 129% FUNDED! THANK YOU TO OUR AMAZING ANONYMOUS DONORS!! We’re speechless! So excited to be 100% funded two days ago and now the total stands at 129% funded!! THANK YOU to the two hugely generous anonymous donors for your contribution! We are so grateful! 100% FUNDED!! THANK YOU TO ALL OUR DONORS!! A huge thanks to all our donors for getting us to 100% funded! You are amazing! SHAKESPEARE REPUBLIC BECOMES A FINALIST AND NOMINEE FOR BEST WEB SERIES AT 35TH ATOM AWARDS! We are so delighted to let all our supporters know that Shakespeare Republic has been nominated for Best Web Series at the 2017 ATOM (Australian Teachers of Media) Awards! Congrats to all the team! THANK YOU TO OUR LATEST DONORS! 63% FUNDED! THANK YOU TO ALL OUR WONDERFUL DONORS! Thank you to all our amazing donors for your amazing support! 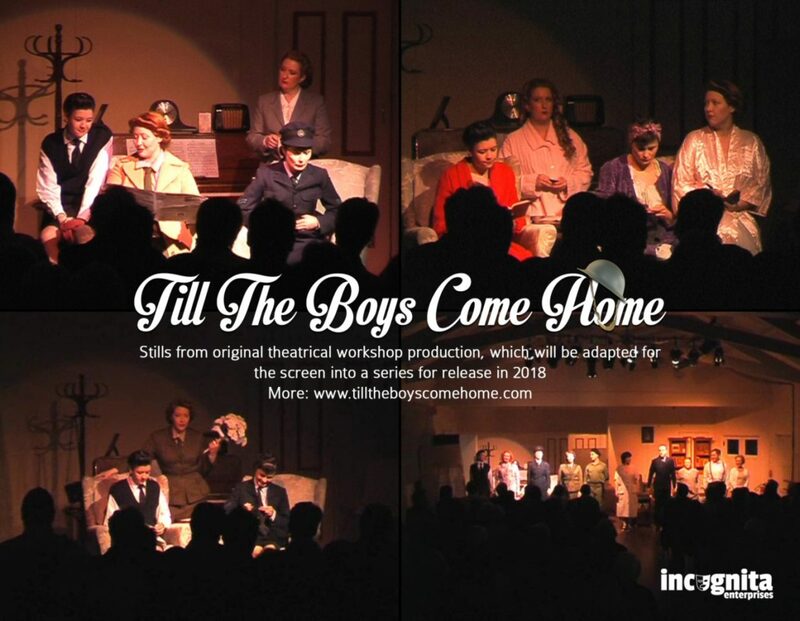 Plans have already begun to film the teaser for ‘Till The Boys Come Home next month as a result of your generous contributions! Gratitude! SHAKESPEARE REPUBLIC NOMINATED FOR BEST INTERNATIONAL CINEMATOGRAPHY & BEST EDITING AT MIAMI WEB FEST! SHAKESPEARE REPUBLIC: #LOVETHEBARD NOMINATED FOR BEST ENSEMBLE & TOP SERIES AT BILBAO WEB FEST! Congrats to our entire team for the Bilbao Seriesland nominations for Best Ensemble & Top Series (Amets Section)! So delighted for all our cast & crew! Our eyes will definitely be on Spain in October! THANK YOU TO OUR NEW DONOR! THANK YOU David MacRae for your generous donation! 56% funded – you rock! Massive thanks to all our donors for their support – we couldn’t do it without you! SHAKESPEARE REPUBLIC: #LOVETHEBARD OFFICIALLY SELECTED FOR FUENGIROLA INTERNATIONAL FILM FESTIVAL! We will be screening in competition in Spain next month! http://www.20minutos.es/noticia/3111334/0/diez-webseries-internacionales-compiten-festival-internacional-cine-fuengirola/ Congrats team! Thank you to Peter Flaherty, Allan Kitchingman, Jamie Hansen, Victoria Haslam & our anonymous donors for so generously supporting our campaign! 54% funded in 8 days! You guys are amazing! So grateful! Don’t forget to watch our campaign video for all the details! You can see the video here: https://vimeo.com/227633318. Thank you for your support! Thank you to our first donors!! HUGE thanks to our first donors – Howard Fine Acting Studios Australia and Robina Bamforth!! We are so grateful for your support & for taking us to 26% of our total in only two days! You are amazing!! Shakespeare Republic wins another award! We are so delighted to announce that Shakespeare Republic has won Best Hair & Make Up at Tuscany Web Fest! Huge congrats to our talented & hardworking Make Up Department for this win!